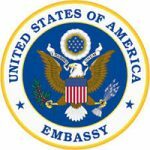 The United States Mission to Tanzania assists Tanzanians to build and sustain a healthier, more prosperous and secure nation through accountable, democratic governance which responds effectively to the needs of citizens and acts to curb threats to the security of Tanzania, its neighbors and the wider world. Specifically, the Mission works with Tanzanians to fight HIV/AIDS and malaria, improve infrastructure, increase access to education, and promote economic development. These goals are accomplished through a partnership between Americans and Tanzanians and between their governments.